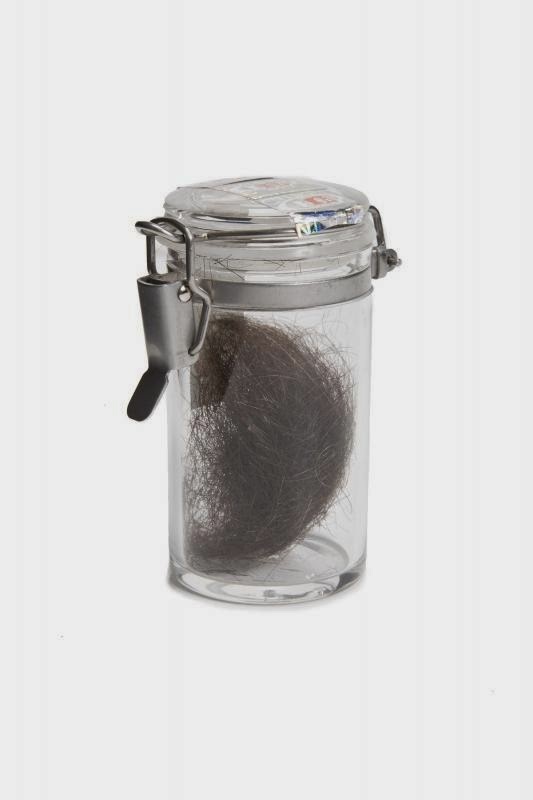 One single strand of Elvis Presley's hair is on sale today! 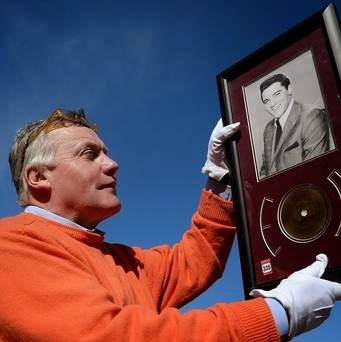 But one single stand, mounted in the middle of a gold record, was up for auction in Northumberland. And it came with a significant letter of authenticity. 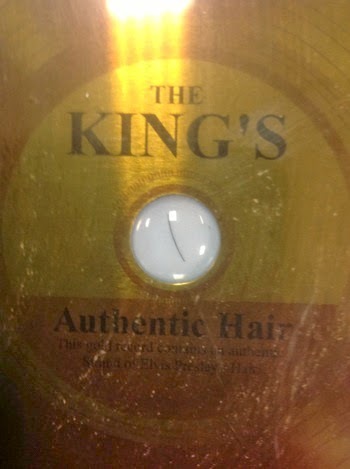 As it turns out, today was not the only time Elvis fans had the chance to own the hair of their favorite rock star. 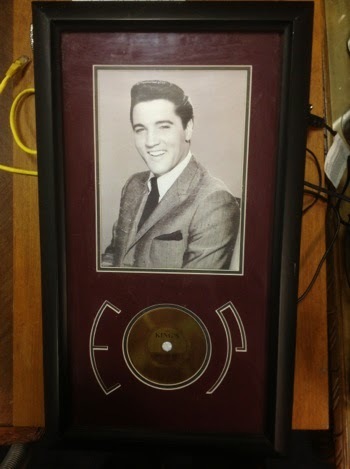 There have been a number of offerings, but in 2009, a clump of the Rock and Roll singer's hair fetched $15,000 at a Chicago auction. 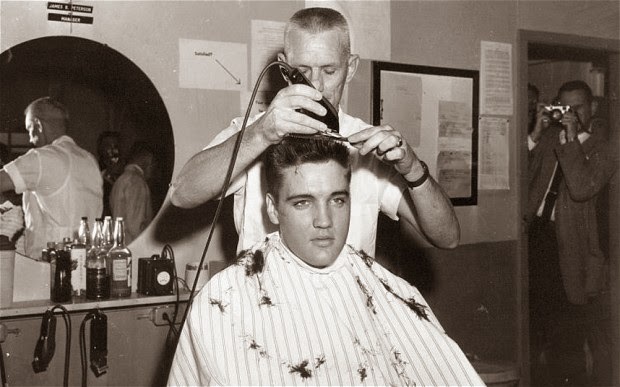 The hair clipping, which belonged to the late Gary Pepper who ran an Elvis fan club and was a friend, was believed to have been trimmed from Elvis Presley’s head when he joined the Army in 1958. And if you're asking yourself if Elvis is the only famous singer whose hair people covet, well you'd be correct to think there must be. Justin Beiber, Mick Jagger, John Lennon, and Keith Richards have all had their locks up for sale. There is such a long history of fetishizing hair and other body parts, and it makes you see the ceremony around religious reliquaries as being in the same camp of hero- and celebrity-worship. The times have changed but folks' behavior and the song remains the same. 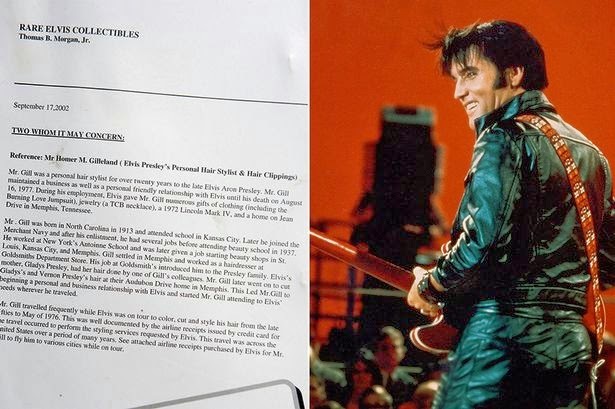 So how much did Elvis' precious single strand sell for in the end? ..... drumroll .... about $250.